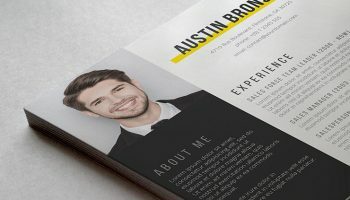 The Graduate Resume Template is suitable for School/College Leavers and University Graduates looking to get their first start in life. 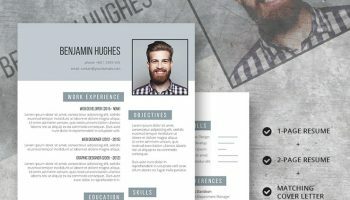 This resume template would also suit Business Administrators and those in similar occupations looking for a shift in career or work progression. 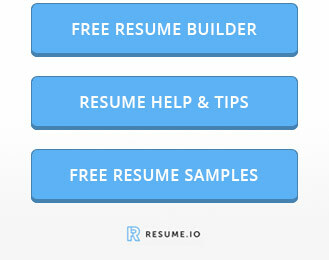 Also included in this package is a professionally designed cover letter template to coordinate your application. The Graduate is a smart and stylish design that was created to pop with its yellow, black and white colour combination. 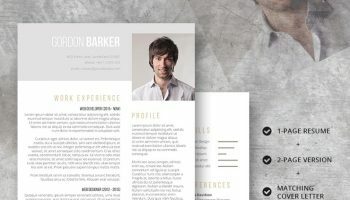 The vertical ‘About Me’ section delivers a fantastic snapshot of your skills and personality while at the same time keeping the eye from wandering off the page. 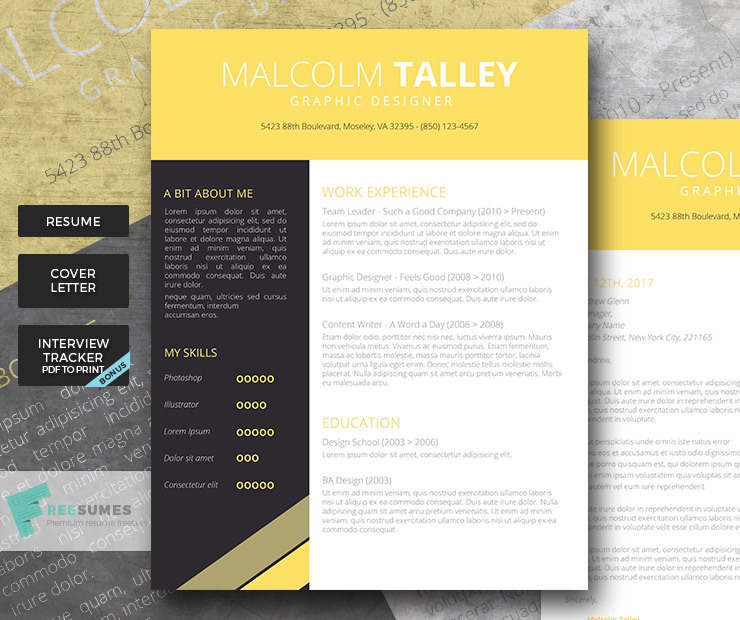 There is plenty of white space that highlights your key skills, educational qualifications and experience. 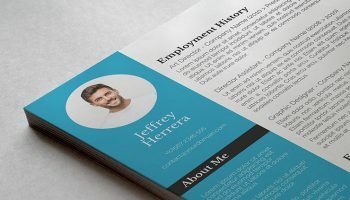 This helps to draw your key information to the attention of the employer in a very easy to read way, ensuring that your resume stands out from others. 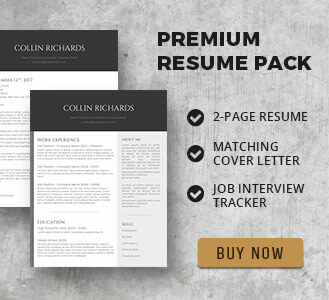 Included in this pack is a matching cover letter template that helps to coordinate your application as well as add the finishing touches to your presentation. 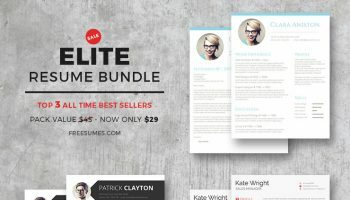 Matching cover letters are a great way to convey your attention to detail and shows you have an eye for quality that you can bring to your new role.